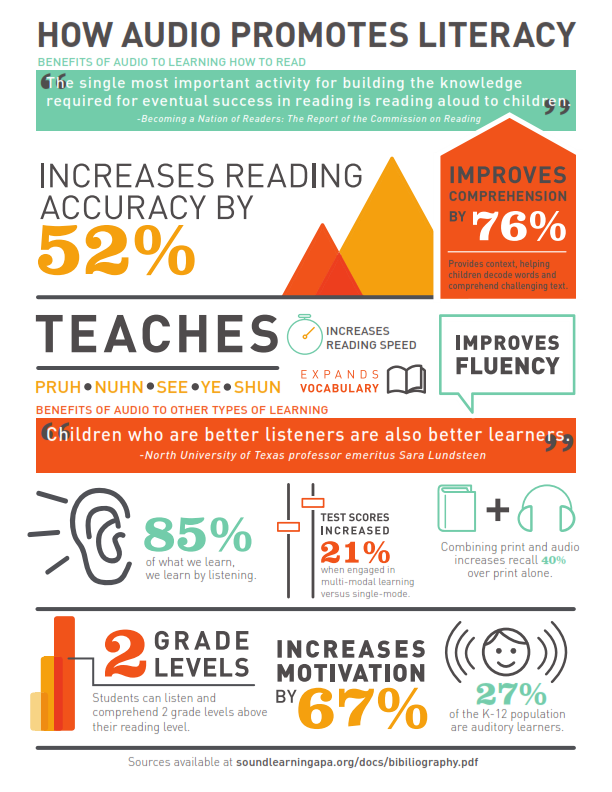 Audiopub.org has produced an amazing infographic “How Audio Promotes Literacy” and offers other resources for librarians and educators on the topics of sound learning and transmedia literacy. 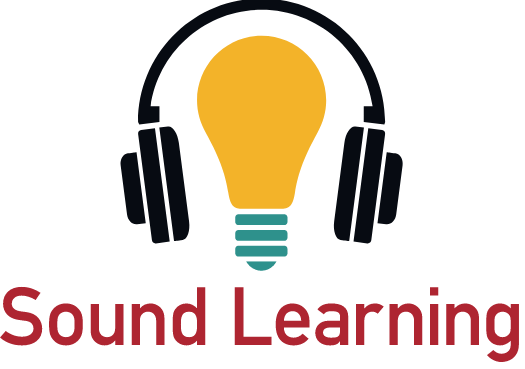 The Audio Publishers Association’s interest in promoting the benefits of audiobooks may be obvious, but no less relevant to awareness of the importance of listening skills to language mastery and learning. Youth librarians who avidly promote the benefits of reading to children from and earyl age (Hello? 1000 Books Before Kindergarten, anyone?) are sometimes taken aback by parental confusion about the value of audio books when it comes to Summer Reading program and associated record keeping. 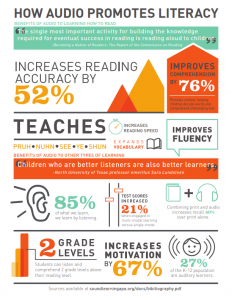 So, if you’re hearing, “Do they count toward the number of minutes?” or “Don’t pick a listening book, Mary, pick a real book you can read with your eyes!” Take time out for a literacy advocacy moment about the many benefits of audiobooks! Thanks much to Sarah Cournoyer whose post on this topic at the Youth Services Shout-Out: YSS Blog was the original flag for this entry!